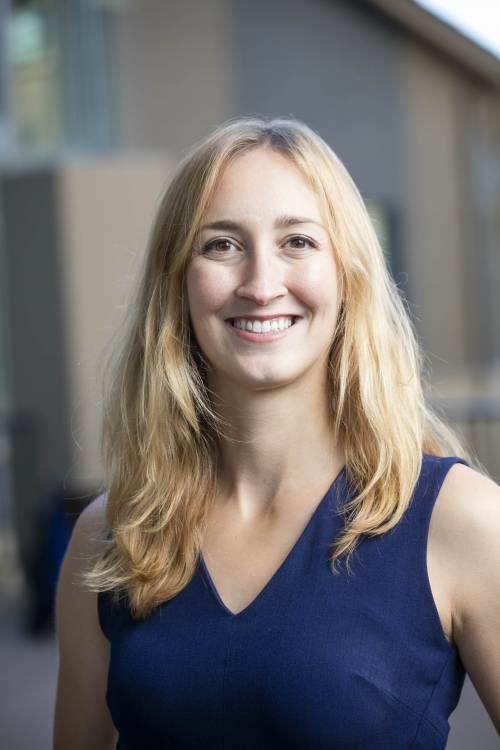 The explosion of FinTech—financial technology—is reshaping MBA curriculums in business schools across the U.S. We sat down with Ashley Lannquist, the co-founder of the FinTech club at the University of California Berkeley’s Haas School of Business, to chat about the FinTech landscape. How did the idea to start a FinTech club at Berkeley germinate? I got into FinTech while living in New York; I was talking to the co-founder of MIT FinTech at a rooftop party in Cambridge, Massachusetts, when he was graduating from Sloan in 2015. He told me about the industry, and at the time I was working in investment management, advising institutional investors on their portfolios. It really piqued my interest, and I started to research the topic on my own. By spring 2016, I started writing FinTech reports for BNY Mellon, where I was working. In the meantime, I had applied and gotten into business school, and right after that, received a fellowship. I won it for FinTech—I was passionate about it, and my essay was how I about I wanted to develop a FinTech club at Haas. Can you tell me a little bit about the process of starting the club, and how it’s gone since launch? Over the summer of 2016 we worked on early documents on how it would form, and then launched the club in August. We grew quickly because it’s such a strong area of interest for students, and we had some very successful early events. One big event was a panel called “The Future of Investing,” and it was on robo-advisors and digital investment advisory. Then the club picked up; we had basically 150 members by year-end, with half from the full-time program and half from the part-time MBA program. We’ll have treks to big companies this fall—last year they were SoFi, PayPal, and Visa. We’ll also be focusing on getting things like sponsorships from companies to grow our budget, and get the incoming class excited about the club. While we’re just as active as the largest three U.S. MBA FinTech Clubs—Wharton, MIT, and Columbia, which have been around for a few years—there’s always the risk that our club won’t endure because we don’t have continuity, the next generation. So we have to work to get students excited about the club, identify future club leaders, and engage them. MIT was the first to start a FinTech club, starting specifically with a conference, then Wharton. I’d applied to Wharton as well, but I thought it was more attractive to start one myself and do it in Silicon Valley, in the Bay Area. I felt that there was a really big opportunity there. What’s the conversation like amongst your peers about FinTech? Are most still going down traditional MBA paths? Do you see FinTech as an essential part of an MBA curriculum? I think Haas feels that it should be—maybe not a core class but that there should definitely be FinTech offerings, because it’s really the future of finance. And they’re developing more of a FinTech curriculum; the MBA program now has a dedicated FinTech elective that they launched around two years ago. We might have more courses or even a fintech concentration with electives from different university departments in the future. Academia can always lag, but the professors recognize this. I’ve become really passionate about blockchain, so I’m looking at blockchain companies—startups or innovation centers at large companies, or even institutions. I can see myself going to three places: startups, company innovation centers, or institutions like the World Bank who have blockchain labs where they're developing blockchain use cases. I have a background at the Council on Foreign Relations and interned at the State Department, so the international and institutional worlds are familiar to me. And when I spent time in Berlin this summer, I met a few very exciting blockchain startups, so I could also see myself going to Berlin and working for some of them. I’m currently consulting for one or two big companies outsourcing some blockchain research and development. Berkeley has the largest blockchain community of any university in the world through its organization called Blockchain at Berkeley, and it has several clients who want R&D in the area. Photo: CC BY 2.0/Cropped Fintech Blue/Monito. Headshot by Jim Block, courtesy of Ashley Lannquist.